This agency agreement is suitable for a principal, manufacturer or supplier, who wishes to appoint an agent on an exclusive basis in a defined territory for the sale of those goods. a general clause detailing indemnity, assignment, subcontracting, notices, the scope of the agreement, waiver, severability, language, resolution of disputes and governing law. This version is written from the point of view of the manufacturer or supplier – the principal. 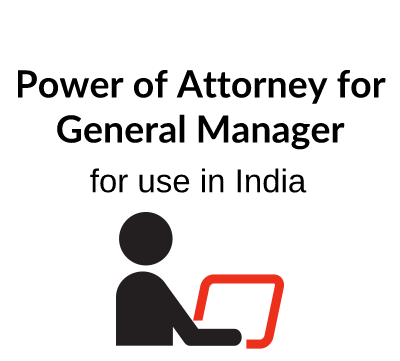 This legal template is designed for use in India. If you are working in China you may also want to consider the Chinese translation of this template, C101. This Agency Agreement contemplates that a manufacturer or supplier of goods will appoint an agent in another territory on an exclusive basis for the sale of those goods. The Agreement is designed from the point of view of the manufacturer or supplier (who is referred to in the Agreement as the Principal). Whereas a distributor buys for re-sale, purchasing from the Principal, the role of an agent is to sell on behalf of the Principal and on the Principal’s terms and conditions of business, with payment being made to the Principal by the customer. Great care needs to be taken before appointing an agent in another territory, not least since, whatever the Agreement may say, local law and/or custom may make it difficult for a Principal to terminate the appointment of an agent and appoint an alternative agent in the same territory. This template is for use when Indian law governs the agreement. The wording is very similar to our Agency Agreement A101 which applies when EU regulations govern the dealings between the parties law but because of the different law here, certain of the terms are also different. When it is used as a cross-border agreement, the Principal should have the text checked by a lawyer in the Agent’s territory even if the Principal wishes to use the law of his own country as the governing law of the Agreement. 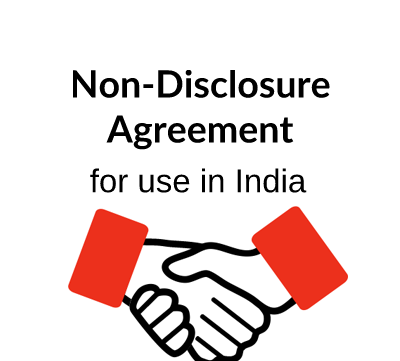 DATE AND PARTIES – see our separate note on signing contracts: signing contracts when Indian law applies. In the case of the parties, the official address of each of the parties should be inserted and where the Agent operates under a P.O. Box number, a physical address might also usefully be included. This contains a number of defined terms that need to be considered by the parties in the light of their own particular arrangements. Products are to be listed in a Schedule. Especially when the relationship between the parties is a new one, the Principal will need to consider whether to list all his Products or only those which he considers are likely to sell most effectively in the Agent’s Territory. It is sometimes possible for a Principal to appoint different agents for different products in the same territory. The Territory covered by the Agreement is defined by reference to a Schedule. The Territory may cover a complete country, part of a country or more than one country, but whichever the case, it is important to define it clearly. Do not, for example, refer to “any country in the Middle East”, since there may be an argument as to whether certain countries are comprised in the Middle East. Especially when appointing an agent for the first time, it is important that the Territory is confined to the country – or the area within the country – where the Agent already has an established business base. Because most countries have their own agency laws, an agent based in one country may not be able to operate effectively in a neighbouring country and it could be better for the Principal to have separate agents in each country. This confirms the appointment of the Agent on an exclusive basis – i.e. 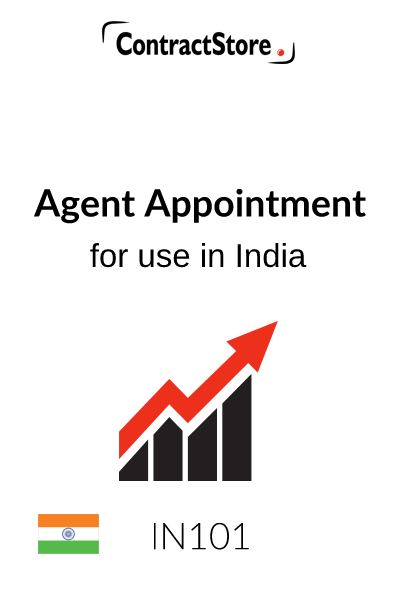 the Principal, by appointing this Agent will not be able to appoint another Agent for the same products in the Territory. If a non-exclusive agreement is required, the wording should be changed to make this clear. It should be noted that in India there is no specific law on Agency: the terms of the agreement are bound by the Contracts Act. In clause 2.2 the Agreement contemplates a fixed Initial Period of 2 years and after that the Agreement will roll over unless terminated. Although clause 2.3 provides for termination at the end of the second or any subsequent year, in practice termination may not be as easy as the Agreement suggests and local legal advice should be obtained. This clause contains provision for minimum sales targets in clause 3.2. These will be subject to review from time to time. One purpose of such a clause is to give the Principal the right to terminate if the Agent turns out to be unsuccessful in achieving Minimum Sales Targets. This provision might also be helpful in any proceedings brought by the Agent claiming wrongful termination. The Principal would in such circumstances be able to show that Minimum Sales Targets were agreed but had not been met. In 3.3 the Principal reserves the right to make sales to certain customers who are named in the Agreement and it is open to the Principal to decide whether or not the Agent should receive commission, and if so at what rates, on those sales – the second sentence, for which we have given alternative versions, is to be considered carefully here. Although the Principal will under clause 3.4 generally refer all enquiries in the Territory to the Agent, in some circumstances – e.g. sensitive government enquiries or where the customer specifically informs the Principal he will not deal with the Agent, the Principal’s rights to deal directly are reserved. The Agent is required to refer to the Principal enquiries received from outside the Territory and in clause 3.6 he must not make any sale where he knows the Products are likely to be delivered to another Territory. This contains a number of self-explanatory provisions requiring the Agent to promote the sale of the Products, undertake an advertising campaign on a basis agreed with the Principal, etc. In clause 4.1.8 there is an obligation on the Agent to report regularly on activities and this clause also deals with such matters as maintaining an adequate sales force, offices, warehouses and stocks of spares. Insurance cover is also dealt with in clause 4.1.11. Since the Agent is finding purchasers on the Principal’s behalf he is required in this clause to apply the Principal’s list prices and not to offer any discount unless this has been cleared in advance. Also, in clause 5.3, sales must be made on the Principal’s standard terms and conditions – the Agent does not have any right to vary those terms without getting prior clearance from the Principal. 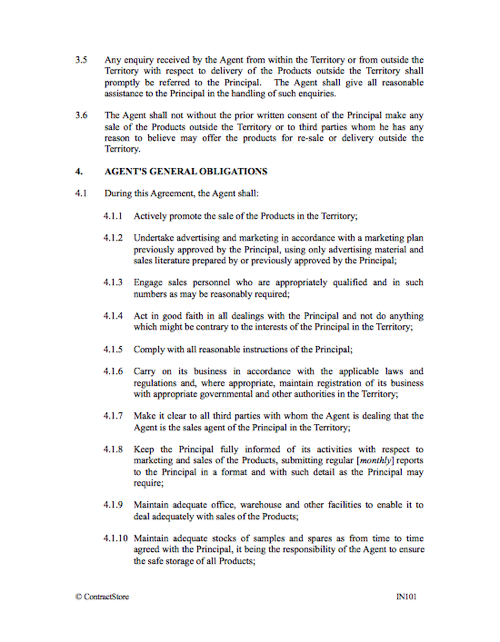 The Agent is required in clause 5.5 to pass orders directly to the Principal which will be confirmed by the Principal. Payment will be made directly by the customer to the Principal, but if the Agent does receive payment, he is required in 5.6 to maintain a separate bank account for those payments. Commission is dealt with by reference to Schedule 5 and it is only due when the Principal has been paid in full. Clause 5.8 sets out two alternatives for the payment of commission. Delete whichever does not apply. Alternative A, which may suit a Principal with a high volume of total sales, depends upon the Agent notifying the Principal of sales completed and the calculation of the commission claimed and provides for the Principal to confirm the amount owing and to tell the Agent if he disagrees with the Agent’s calculations. Alternative B may suit a Principal with a lower volume of sales. This places the onus on the Principal to advise the Agent of sales completed and commission due. In both alternatives the Agent has a right to see excerpts from the Principal’s books solely to allow him to verify the basis upon which the Principal has calculated commission. For the Agency to operate successfully, the Principal needs to remain involved, supplying advertising material, technical data etc. as well as ensuring the price lists are kept up to date. In appropriate cases where training is necessary for the Agent’s staff, clause 6.1.4 provides for the Principal to provide free training but the Agent is responsible for the employees’ travel and accommodation costs. Sometimes the Principal may bear such costs or they might be shared on an agreed basis. The clause also obliges the Principal to confirm orders and make deliveries in accordance with those confirmations. It is always advisable for the Principal to protect his intellectual property rights including trade marks and registered name. The Agent is required to notify any infringement and is prevented from registering any of the Principal’s trade names or other intellectual property rights. As already mentioned, termination may not be as easy in practice as this clause suggests and legal advice is needed. Under our clause, the Principal can terminate in the event of the Agent’s breach of contract, insolvency or failure to meet the Minimum Sales Targets after an initial start-up period. In 8.1.4, we have also provided for termination if the ownership or management of the Agency changes: quite often an Agency relationship is a personal one and this is intended to protect the Principal in such circumstances or if the Agent’s business is taken over by a competitor of the Principal. We have also provided in clause 8.2 for the Agent to terminate if the Principal becomes bankrupt or commits a material breach of the Agreement. 8.3 deals with the consequences of termination and, as will be seen, outstanding sales will be honoured and the Agent will receive Commission. This is intended to restrict the Agent from competing with the Principal’s business both during the Agreement and after it has been terminated. This contains a number of standard provisions designed to regulate the arrangements between the parties. In clause 11.1 the Agent is required to indemnify the Principal against any liability that the Principal incurs as a result of some wrongful act of the Agent. It is not out of the question that the Agent might require indemnity from the Principal insofar as any claims from customers are concerned in respect of defective Products. Local law may also require the Principal to provide such an indemnity. The Principal should always take legal advice before agreeing to provide an indemnity. The Agent is prevented from assigning or subcontracting any obligations or rights under the Agreement in clauses 11.2 and 11.3. Clause 11.4 deals with notices. In clause 11.9 we have suggested direct negotiation followed by mediation (if agreed) and, ultimately, arbitration in the event of disputes. Indian law governs the contract as set out in clause 11.10. For other standard clauses and for a more detailed discussion of dispute resolution, see the free document (Z140) on our website.